Okay - I just have one thing to say about this. Who in the world mistakes a LITE BRITE for a BOMB???? Seriously!?!? Don't know what I'm talking about? Click here. The Moon Rulz. 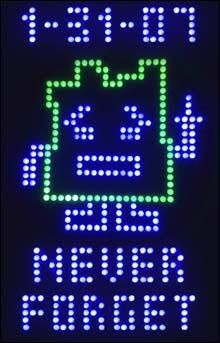 And so does Aqua Teen. For a quick time waste, I recommend this, too.